The Android 4.0 Ice Cream Sandwich is the latest version of the Android launch on November 2011. While many devices awaits upgrade to Android 4.0, this is been loved for the user interface and the features that it brings down. We just love the latest Android 4.0 Ice Cream Sandwich operating system on our mobile phone as it brings a complete new makeover with user interface. 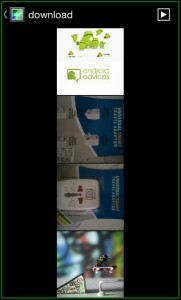 The Android 4.0 ICS deployment is still awaiting many of the devices and most of the devices might not receive the Android 4.0 update. The good thing is there are several Android applications which have come up dedicated to each purpose. The latest one is the Gallery ICS which is an dedicated Android application which brings the Ice Cream Sandwich gallery application for those users who are still using a smartphone of the earlier version like Gingerbread and Froyo. 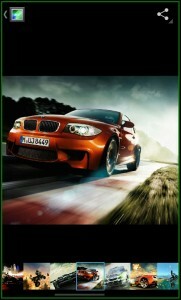 By installing Gallery ICS on your mobile phone, you can view the gallery on your phone in a much better way. This application also asks you to install Camera ICS + Android application which can be skipped as well. As soon as you download and install this application on your mobile phone, open it. You will be presented with full albums grid view present on your phone. When you tap on any of the gallery folders, you will see all the images in full occupied thumbnails. It’s easy to identify images with it. When you hit the play button on the top extreme right you will have the slideshow of the photos in that particular gallery. 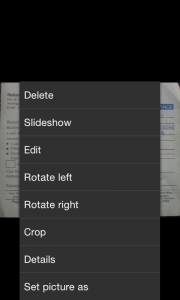 When you tap on Menu you will have the various options like Delete, SlideShow, Edit, Rotate right or left, Crop and set picture as. 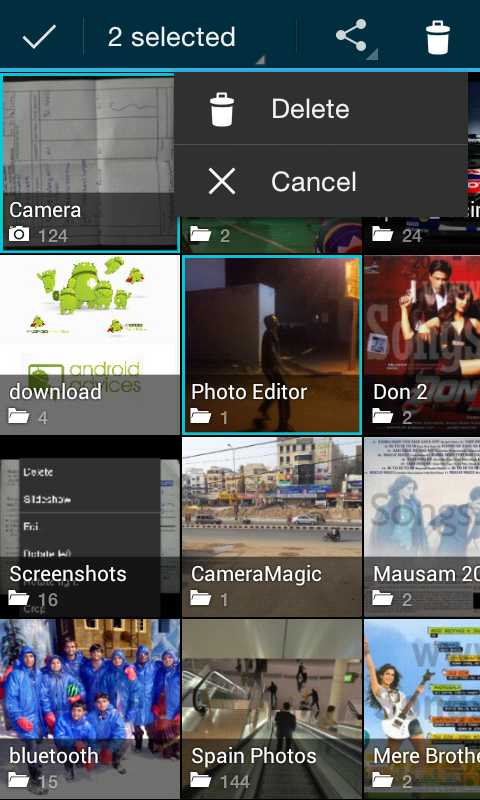 You can multiple tap on various gallery folders and can delete them with easy. Also you can multiple select various gallery files and share them via all the available options like Bluetooth, AllShare, Email, Gmail, Picasa, Google +, YouTube, Dropbox and lot more. 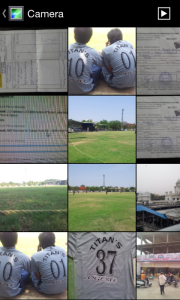 Gallery ICS Android application is proving to be worthful with the downloads you see and average rating of 4.5 stars at Android Play Store. 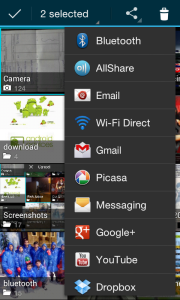 Gallery ICS Android can be easily downloaded from Android Apps Labs for free. To download it directly on to your mobile phone, you need to visit the Android Apps Labs page listing of Gallery ICS application and then click on the install button to automatically download it. 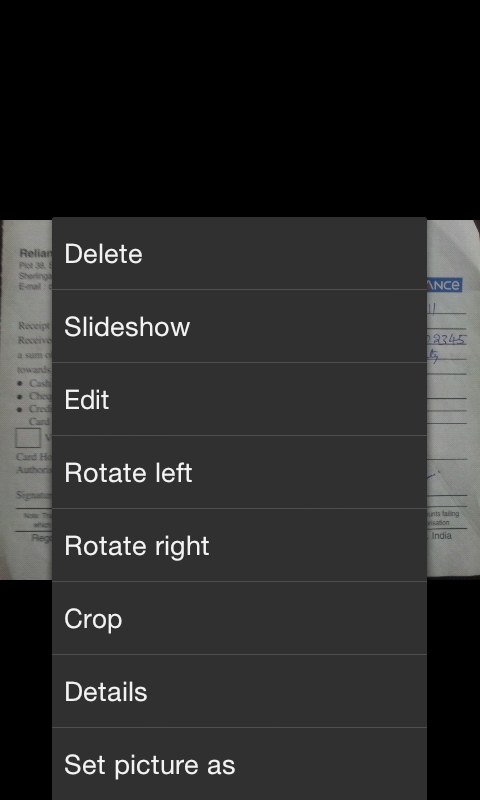 For the users who wants to have a great looking pictures on slide this is the right application for them. 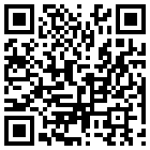 Users who have Galaxy S which will not receive the ICS upgrade for them its good options.